Tropea is a municipality located within the province of Vibo Valentia, in Calabria (southern Italy).The town is a famous bathing place, situated on a reef, in the gulf of St. On the 2nd (Tue), take a stroll around Tropea, then have fun and explore at Creazioni Artistiche Il Faro, then enjoy the sand and surf at Praia i Focu, and finally enjoy the sand and surf at Capo Vaticano. Get ready for a full day of sightseeing on the 3rd (Wed): kick back and relax at Michelino Beach, then enjoy the sand and surf at Spiaggia di Riaci, then contemplate in the serene atmosphere at The Sanctuary of Santa Maria dell'Isola, and finally stop by Gourmetit. To find ratings, where to stay, maps, and other tourist information, use the Tropea planner . Sao Paulo, Brazil to Tropea is an approximately 20-hour combination of flight, bus, and train. You can also do a combination of flight and train; or do a combination of bus, flight, and train. Due to the time zone difference, you'll lose 4 hours traveling from Sao Paulo to Tropea. Plan for a bit warmer temperatures traveling from Sao Paulo in July, with highs in Tropea at 34°C and lows at 23°C. Wrap up your sightseeing on the 3rd (Wed) early enough to drive to Maratea. Maratea is a town and comune of Basilicata, in the province of Potenza. Visit Il Mirto Solarium Bar and La Secca for some beach relaxation. You'll explore the less-touristy side of things at Arco Magno and Santuario della Madonna del Perpetuo Soccorso. Change things up with these side-trips from Maratea: Palinuro (Grotte Marine di Capo Palinuro & Baia del Buon Dormire) and River Rafting & Tubing (in Laino Borgo). It doesn't end there: take in the spiritual surroundings of Statua del Cristo Redentore di Maratea. To see more things to do, ratings, maps, and tourist information, refer to the Maratea trip planner . You can drive from Tropea to Maratea in 3 hours. Alternatively, you can take a train. Finish your sightseeing early on the 6th (Sat) so you can travel to Forio. Kick off your visit on the 7th (Sun): kick back and relax at Bagno Franco, then steep yourself in history at Sant'Angelo (Serrara Fontana), then admire the natural beauty at Giardini Ravino, and finally pause for some serene contemplation at Chiesa del Soccorso. To find traveler tips, other places to visit, reviews, and other tourist information, refer to the Forio itinerary planner. Do a combination of car and ferry from Maratea to Forio in 4 hours. Alternatively, you can do a combination of train, bus, and ferry; or do a combination of bus and ferry. 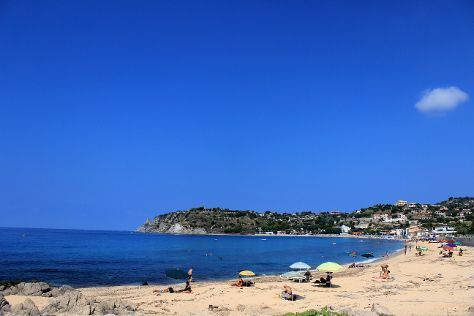 In July in Forio, expect temperatures between 36°C during the day and 26°C at night. Cap off your sightseeing on the 7th (Sun) early enough to travel to Capri. On the 8th (Mon), get engrossed in the history at Villa San Michele, choose your vessel at Capri Whales di Wendy, appreciate the history behind Natural Arch, make a trip to Piazza Umberto I, then don't miss a visit to Giardini di Augusto, and finally pause for some serene contemplation at Chiesa San Michele. On the next day, get the lay of the land with Walking tours. To see reviews, more things to do, and more tourist information, refer to the Capri trip planner . You can do a combination of taxi and ferry from Forio to Capri in an hour. In July in Capri, expect temperatures between 36°C during the day and 26°C at night. Wrap up your sightseeing on the 9th (Tue) early enough to ride a ferry to Ravello. Ravello is a town and comune situated above the Amalfi Coast in the province of Salerno, Campania, southern Italy, with approximately 2,500 inhabitants. You'll enjoy a bit of beach vacationing at Fornillo and Lido Capo di Conca. 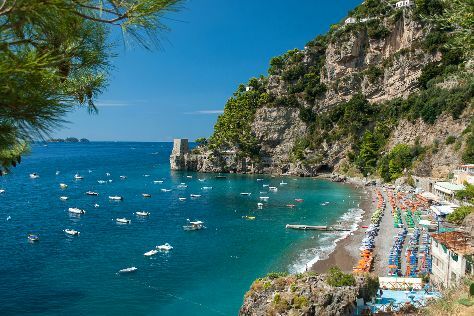 Step out of Ravello to go to Positano and see Bagni d'Arienzo, which is approximately 48 minutes away. There's still lots to do: stroll through Spiaggia di castiglione, contemplate in the serene atmosphere at Duomo di Sant'Andrea, make a trip to Vicoli, scale e archi, and enjoy the sand and surf at Lido di Ravello. To see other places to visit, maps, ratings, and tourist information, you can read our Ravello trip builder . You can ride a ferry from Capri to Ravello in an hour. Other options are to do a combination of ferry and taxi; or do a combination of ferry and bus. July in Ravello sees daily highs of 34°C and lows of 29°C at night. Wrap up your sightseeing on the 12th (Fri) to allow time to travel back home.